Ouch! If Only He'd Phoned an Employment Solicitor! Ouch! If Only He’d Phoned an Employment Solicitor! A man walks into a jeweller’s shop. It sounds like the start of a joke doesn’t it? It’s actually a true story about how easy it is for an employer to get caught out. And it’s the sort of story that makes employment solicitors cringe! 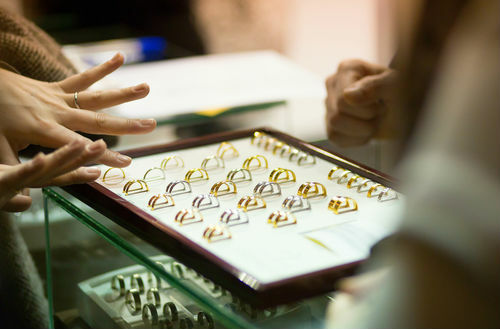 The man (let’s call him “Romeo”) asks the elderly shop assistant to show him a selection of engagement rings. He’s planning on taking his girlfriend to Paris for a romantic weekend where he will ask her to marry him. The shop assistant takes out a tray of sparkling diamond rings and he casts his eye over them. After some careful thought, he points to the one he wants. The ring comes in a smart presentation box and the shop assistant asks whether he wants it wrapped as well. Romeo agrees, he hands over the money and off he goes with his expensive purchase, all neatly wrapped. The following weekend, Romeo is in Paris with his girlfriend. Whilst walking in the hills together, he gets down on one knee, hands to her the neatly wrapped presentation box and asks her to marry him. His girlfriend, filled with excitement, quickly unwraps the gift, opens the box and . . . oh dear . . it’s empty! The shop assistant had forgotten to put the ring in the box. Romeo is furious. First thing Monday morning, he phones the manager of the jeweller’s shop and vents his full anger, dismay, and bitter disappointment that his once in a lifetime opportunity had been ruined by the shop assistant’s incompetence. The manager promises that he will deal with it. This is where it all went wrong. What he should have done is contact an employment solicitor for some advice. What he actually did . . . The shop assistant took great offence and resigned. 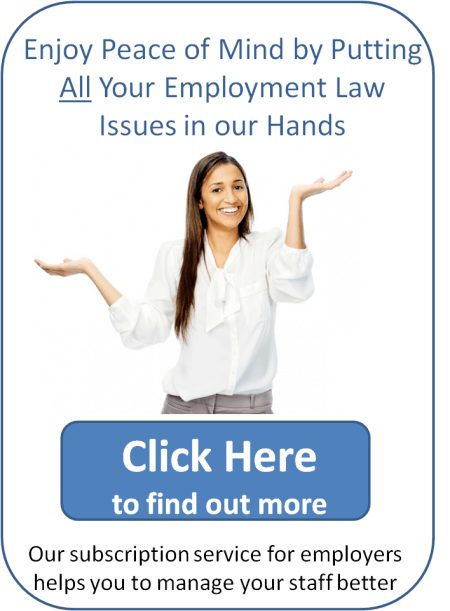 She brought an Employment Tribunal claim for constructive dismissal and age discrimination. On the day of the hearing, following advice from an employment lawyer, the manager of the jeweller’s shop agreed to pay her £8,000 in compensation. This case demonstrates the risks of not taking advice from an employment solicitor before dealing with a sensitive matter. It’s very easy to fall foul of age discrimination laws and find yourself on the wrong end of a Tribunal claim. Make sure that you have the right employment procedures in place and, if you’re considering taking disciplinary action, feel free to give me a call first.